If you're a beauty obsessive, you'll know all about The Ordinary. Launched by Brandon Truaxe in 2016, under the Deciem brand, it's one of the first affordable lines that not only works amazingly well but also speaks to the millennial audience. Along with the likes of Glossier and Beauty Pie, as well as few other beauty brand innovators, The Ordinary has made available to us a host of products that give us incredible skin. While I've been a fan of the moisturiser for a while, there was one product that immediately perked up my skin after one use. Want to know what that was? Keep scrolling to find out. I've gotten on board with toners. I love what a decent serum does for my skin. But vitamin C? Do I need yet another product to make my complexion look better? Yes. Yes, I do. While I'll give a rundown of the product in a mo, it's useful to understand the benefits of putting vitamin C on your face. When we spoke to skincare expert Debbie Thomas, she revealed all: "When used on the skin, vitamin C can help collagen production, soften wrinkles, improve skin texture and reduce sun damage, as it's an antioxidant. Antioxidants neutralise free radical damage caused to skin cells by daily stressors like pollution, UV rays, stress and the light from screens." 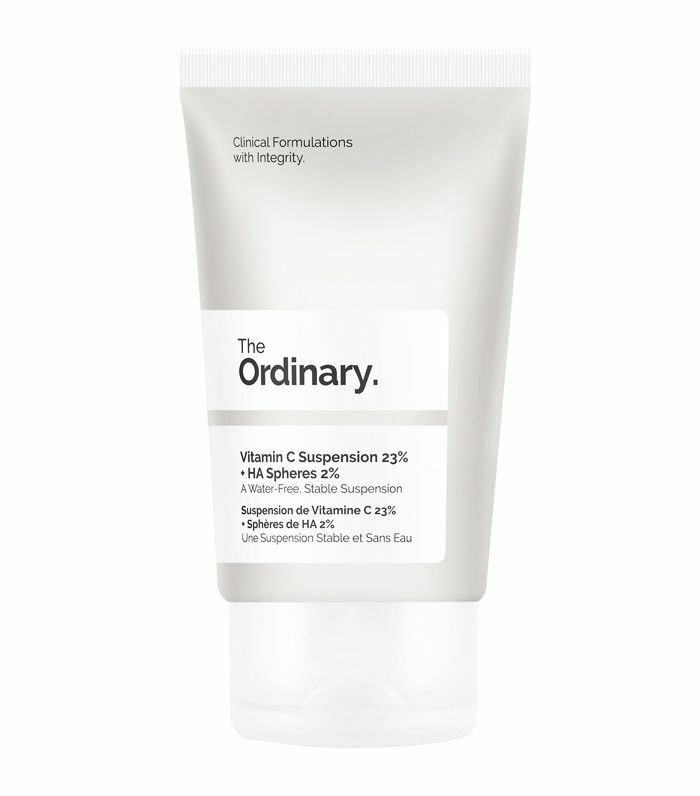 I turned to The Ordinary's vitamin C product when my skin had gone a little dull. Post-holiday and thanks to the lack of sunshine in the UK, I needed something to make my complexion less grey. And as this promised to "plump even the most pallid complexions" and it only costs a fiver, I thought I'd give it a whirl. Using it after cleansing, I popped it on before by moisturiser (I'm currently using Eucerin Anti Age Elasticity Filler Day Cream £26). While it felt like a primer in my hands, when I applied to my face it sunk in straight away. Although it says I might find it would tingle a bit, I didn't experience that at all (although it's worth bearing in mind everyone's skin is different). I then applied my moisturiser, which went on quickly with none of that pilling thing that can happen sometimes when layering products. I immediately noticed my skin looked brighter than usual. It looked perkier and just generally much healthier. Call me a convert.